Plymouth is surrounded by golden sandy beaches recognised for being some of the best in the UK and are perfect for rockpooling, swimming and surfing. Everyone wants something different from a beach, be it peace and quiet, water sports or family fun. With the variety of beaches in Plymouth and surrounding areas you are sure to find one to suit. Plymouth's closest beach's are Bovisands and Wembury, being just a 15 - 20 minute drive away from the centre. As areas of outstanding natural beauty, these destinations are popular with locals and families. Drawing more closer to the Kingsbridge area you'll find even more sandy beaches incuding, Bigbury-on-sea, Challaborough, Bantham and Thurlestone Beach. Across the water into Cornwall ( accessible via the Cawsand Ferry) visit Kingsand and Cawsand beaches, surrounded by quaint local villages, restaurants and cafes. Britains Ocean City, with it's fantastic waterfront location, has no shortage of things to do if you're a watersports enthusiast. Whether you're looking for high octane adrenaline sports such as wakeboarding or coasteering, or would prefer the slightly more relaxing pace of kayaking or stand up paddleboarding, there is something for everyone. Plymouth's main water sport activity centre is the Mount Batten Centre offering half day sessions to week-long courses. They provide a full selection of RYA sailing, powerboating and windsurfing courses from beginner to advanced. 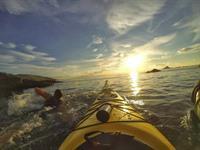 The surrounding estuaries, coves, and bays are ideal for kayak and canoe training and allow for plenty of exploration. Dartmoor is not just about the landscape; there's a lot more to it than that. It's not just about the ponies, or the tors, the history or the heritage; but that's a good start. It's about getting out there, experiencing new things. This living, breathing, working landscape holds the secret to a past that stretches back over the centuries, and a future that is both sustainable and green. 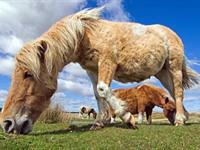 From rare birds and butterflies, Neolithic monuments and ancient woodland, to tradition, folklore and farming on horseback, Dartmoor has it all.